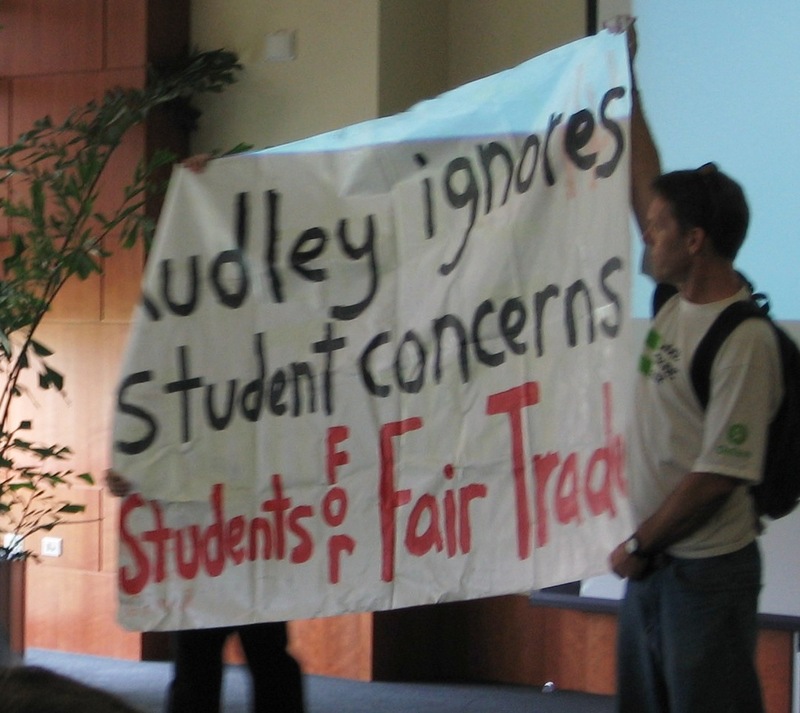 Rudley had suddenly canceled his previously scheduled faculty senate appearance after the UH Students against Sweatshops publicized his dishonest actions related to his ties to sweatshop labor. Students for Fair Trade members were angered that Dr. Rudley was subverting the democratic process by ignoring the fair trade coffee resolution they had gotten passed in the Student Government Association last spring which held that an all fair trade coffee vendor be installed in the 24 hour study lounge in the M.D. Anderson library on campus. Public information requests reveal no request for proposal (“RFP”) had been issued for the coffee shop contract and that the University and it’s food services contractor were rushing a non fair trade coffee vendor to install a coffee outlet in the library. This no bid action by Rudley staffers shuts out minority vendors and lacks the transparency required for true democracy to prosper. Minority contractors are currently demanding that Board of Regents vice president Calvin W. Stephens conduct an investigation of similar charges concerning millions of dollars of no bid construction and maintenance contracts.